Grape Minds is a podcast that looks beyond the glass to the stories that make wine the world's most intriguing beverage. We dive deep into the history, politics, culture and personalities of the wine world, but we always keep it fun because stuffy, fussy snobbery is not our style. 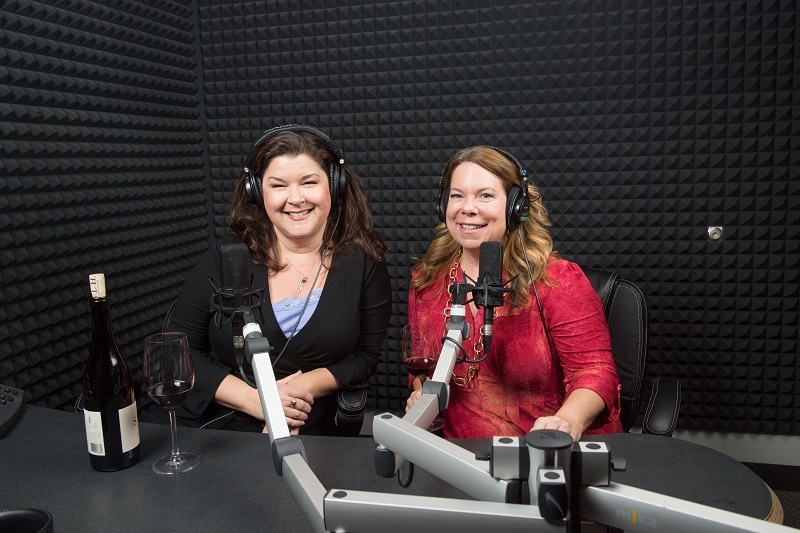 Hosts Julie Glenn and Gina Birch are both journalists with years of experience in the wine industry- a perfect combination to sit in a sound booth and chat about this (agri)cultural commodity that has sparked wars, lubricated philosophical thought, and bridged civilizations. We interview winemakers, talk with importers, and dig into the issues and nuances of wine in the modern world while always keeping it relatable. Grape Minds is produced at WGCU Public Media in Southwest Florida. We're on the campus of Florida Gulf Coast University in an active and attractive wine scene where winemakers, importers, and winery principals frequently come to visit. Our theme song was created by Colin Mannon.